Our workshop is state-of-the-art, equipped with the best tools and staffed by highly trained and experienced experts. 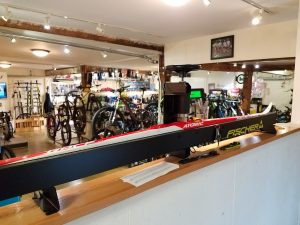 All racing skis come with a complimentary waxing. Bring them back after summer storage to get them treated and ready for the season. To learn a bit about waxing see our BLOG.